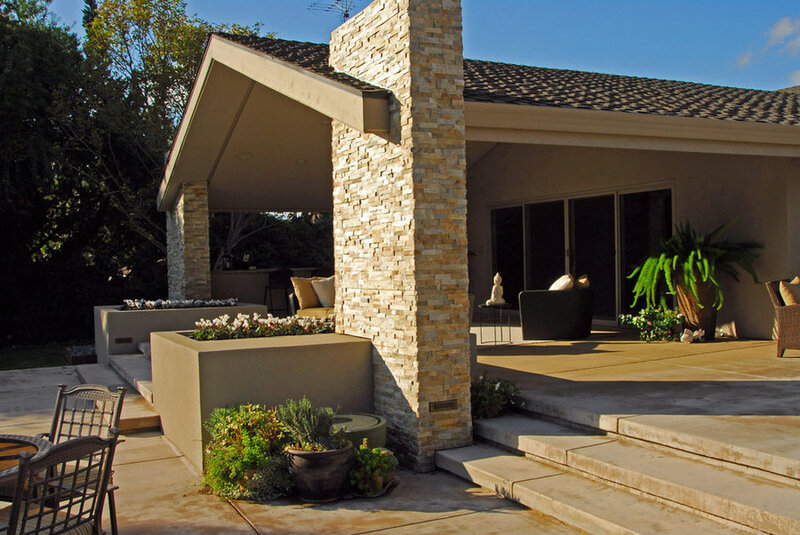 The rear elevation of this home was completely transformed with a contemporary update. A new covered terrace was added at the level of the interior spaces so that the family room could flow out into the new exterior living room. New doors and windows were added to take advantage of the views and to connect to the new landscape renovations. 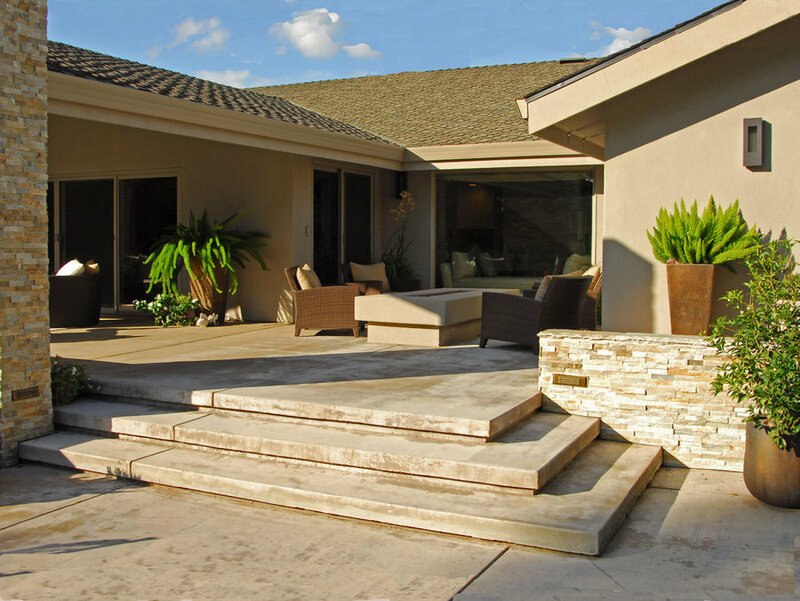 The rear elevation of this home was completely transformed with a contemporary update. 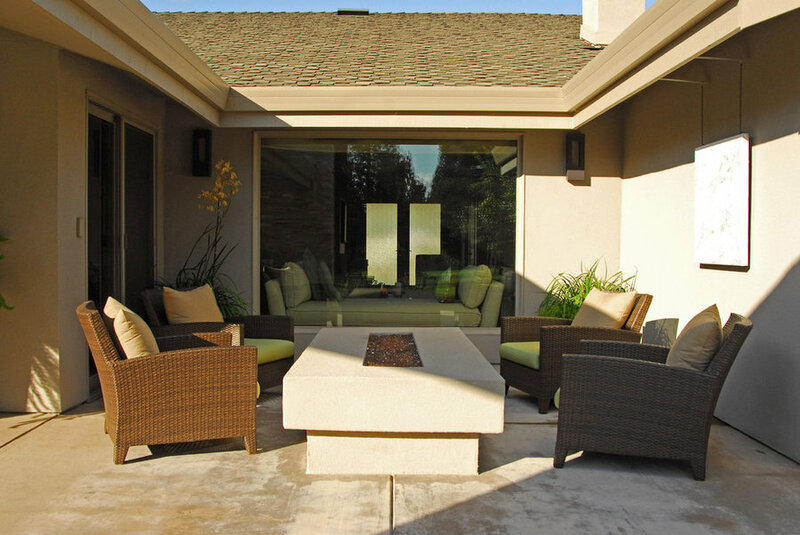 A new covered terrace was added at the level of the interior spaces so that the family room could flow out into the new exterior living room. New doors and windows were added to take advantage of the views and to connect to the new landscape renovations. 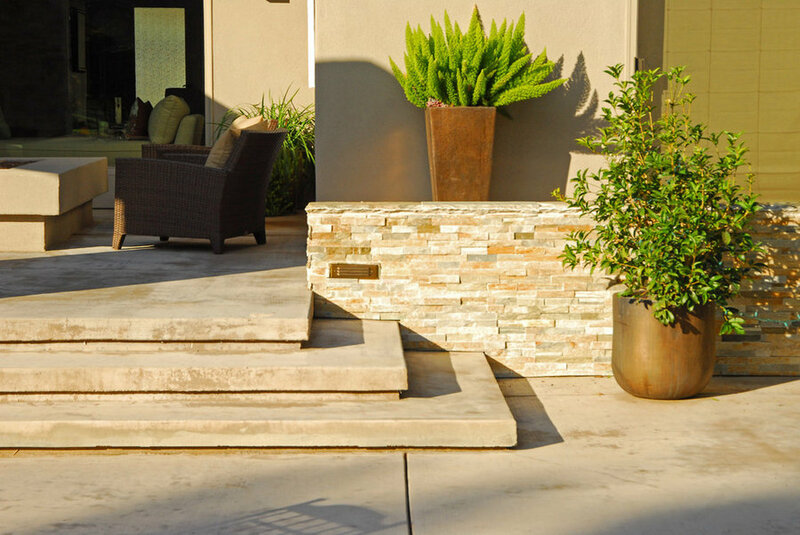 Raised steel planters with decorative stones complement the clean contemporary look. 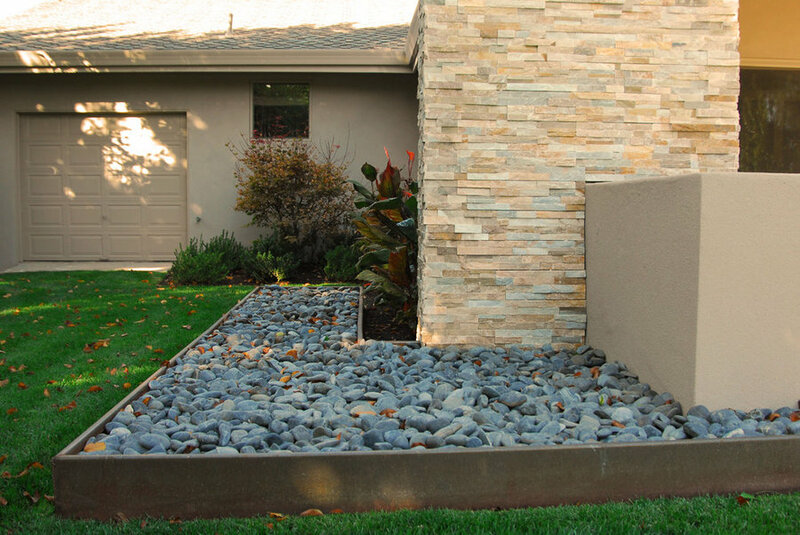 Raised steel planters with decorative stones complement the clean contemporary look. 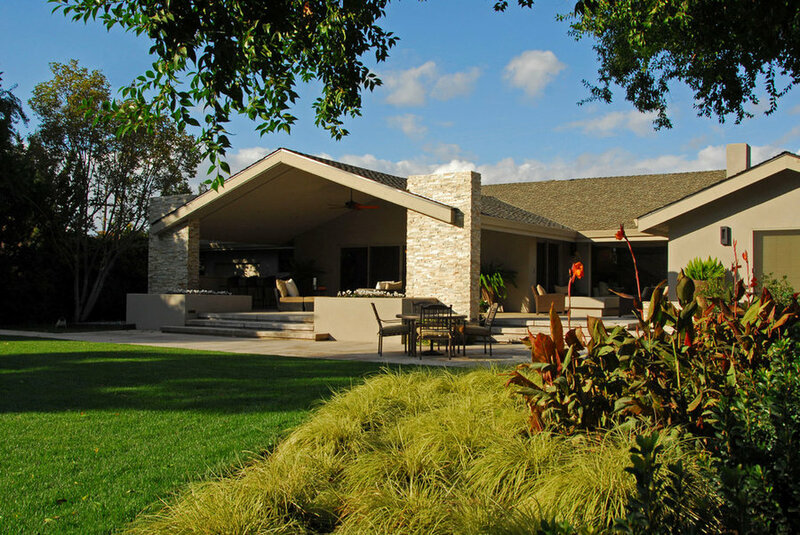 The rear elevation of this home was completely transformed with a contemporary update. A new covered terrace was added at the level of the interior spaces so that the family room could flow out into the new exterior living room. New doors and windows were added to take advantage of the views and to connect to the new landscape renovations. 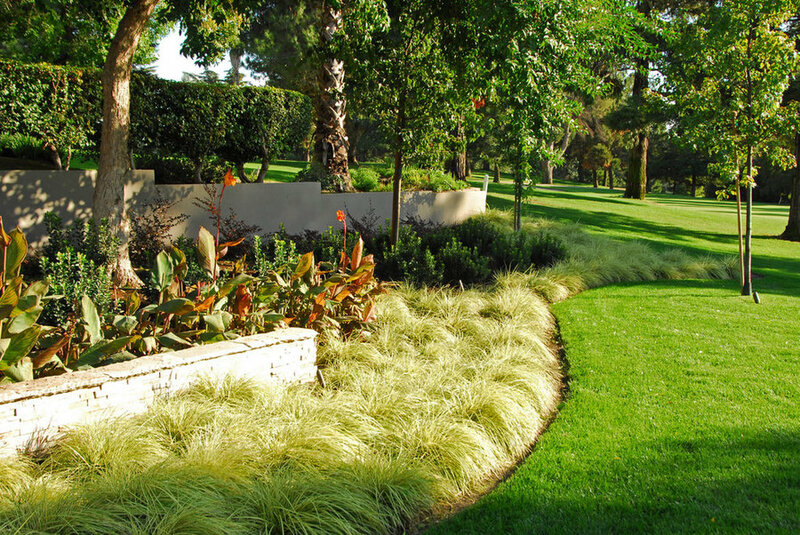 The rear terrace transitions down to the lawn level below. The rear elevation of this home was completely transformed with a contemporary update. New doors and windows were added to take advantage of the views and to connect to the new landscape renovations. 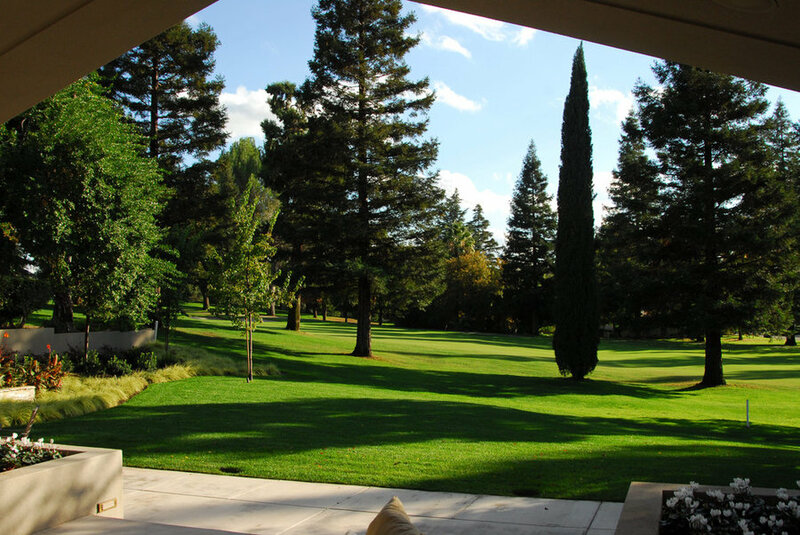 The rear terrace transitions down to the lawn level below. The spaces were divided into different outdoor rooms. This area incorporates a raised gas fire feature. 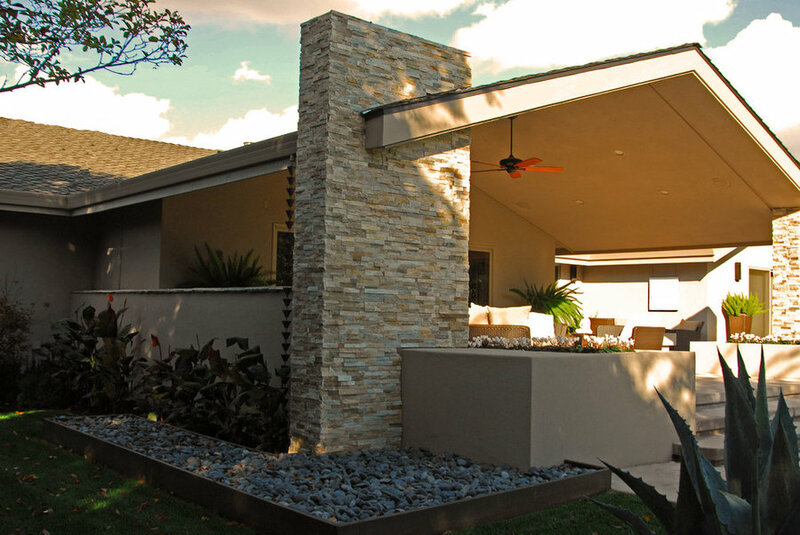 The rear elevation of this home was completely transformed with a contemporary update. New doors and windows were added to take advantage of the views and to connect to the new landscape renovations. 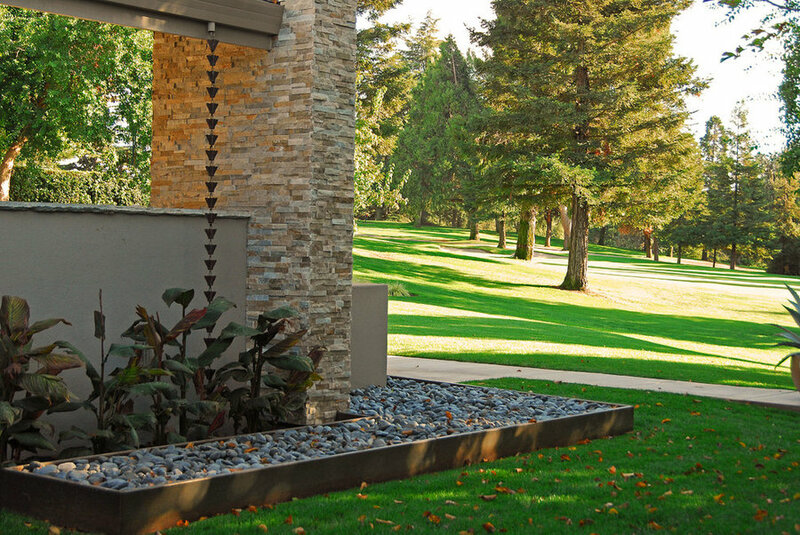 The rear terrace transitions down to the lawn level below. The spaces were divided into different outdoor rooms. The landscape sweeps out onto the golf course beyond leading the eye out into the distance. The low stone wall takes some of the architecture out into the landscape.